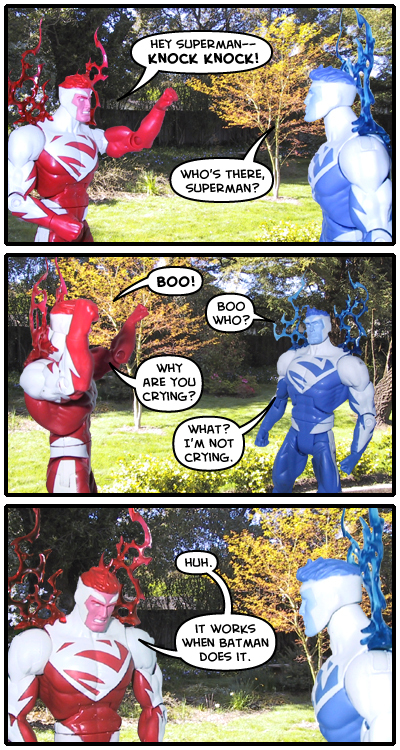 Supermans Red and Blue meet in our backyard the way it used to be to ponder the afterlife! Ding-a-ling-a-ling! Supes On! 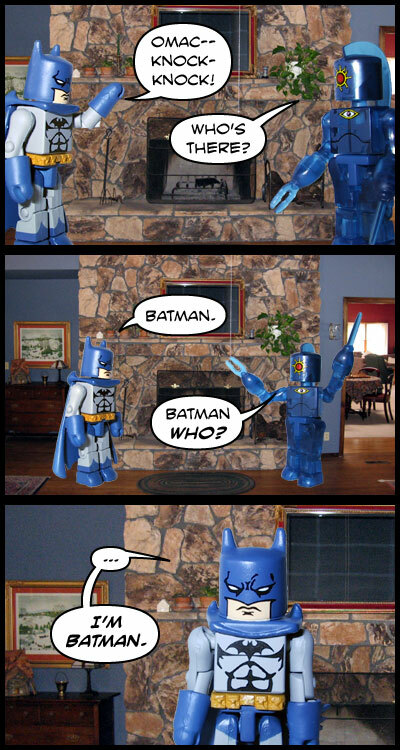 I hope Batman’s not so mean after he dies. What happens when Batman and OMAC get together? Hilarities.